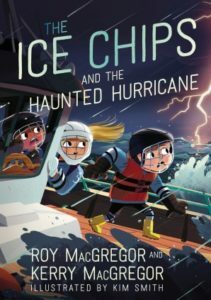 The Ice Chips and the Haunted Hurricane, the second book in the Ice Chips series from father-daughter writing duo Roy and Kerry MacGregor, is a finalist for the Hackmatack Children’s Choice Book Award for 2019-2020! 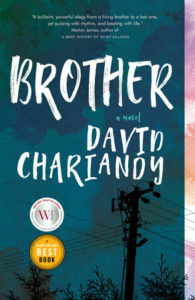 The 2019-2020 shortlist will be promoted at this year’s ceremony on May 31st at the Halifax Central Library. The shortlisted books will then be read in the 2019-2020 school year by thousands of children in the Atlantic region. Young readers will vote for their favourite book, and four winners will be announced at the Hackmatack Awards Ceremony in May 2020. 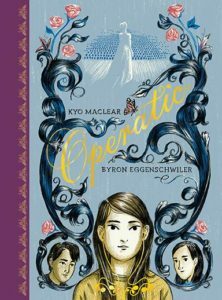 Operatic, from author Kyo Maclear and illustrator Byron Eggenschwiler has received starred reviews from Booklist, Quill & Quire, and School Library Journal. Operatic publishers April 1, 2019 with Groundwood Books. 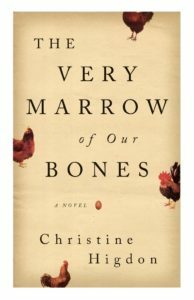 We’re delighted to share that Christine Higdon’s The Very Marrow of Our Bones is a 2018 Forward Indies finalist in the category of Literary Adult Fiction. Winners in each genre will be announced June 15, 2019. Congratulations to Alice Kuipers who has been shortlisted for two Saskatchewan Book Awards! 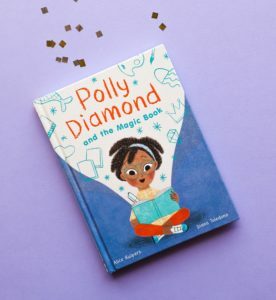 Her chapter book Polly Diamond and the Magic Book, illustrated by Diana Toledano, is nominated for the Muslims for Peace and Justice Fiction Award. 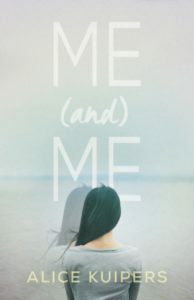 Kuipers’ novel, Me (and) Me, is one of three finalist for the G. Murray and Edna Forbes Young Adult Literature Award. 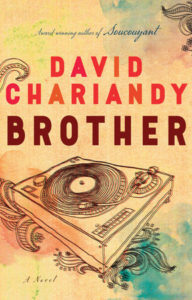 David Chariandy’s second novel Brother has won the Windham-Campbell Prize in the category of fiction. Congratulations David on this astounding achievement! Click here for more information about the prize. Mondadori have renewed their license for Spanish rights to Rohinton Mistry’s A FINE BALANCE. The deal was arranged by Sandra Bruna & Jordi Ribolleda of Sandra Bruna Agency on behalf of Meg Wheeler of Westwood Creative Artists for Bruce Westwood. Romanian rights to Jay Ingram’s THE SCIENCE OF WHY 3 to Editura Niculescu. The deal was arranged by Andreea Focsaneanu of Simona Kessler Agency on behalf of Meg Wheeler of Westwood Creative Artists for Jackie Kaiser. 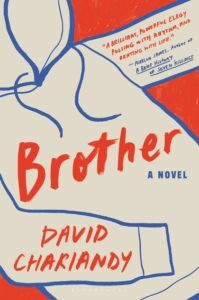 French rights to Darrel McLeod’s MAMASKATCH to VLB Editeur/Groupe VilleMarie Litterature, at auction. The deal was arranged by Meg Wheeler of Westwood Creative Artists. Bhavna Chauhan at Appetite (an imprint of Penguin Random House Canada) has acquired World English Rights to Tara Henley‘s LEAN OUT: A MEDITATION ON THE MADNESS OF MODERN LIFE. Part memoir, part travelogue and part journalistic investigation, Lean Out explores the stresses of the 24/7 work world – and the radical communities around the globe that are resisting it.The deal was arranged by John Pearce at Westwood Creative Artists in association with Chris Casuccio and will be published in Spring 2020. Senior editor Laurie Grassi of Simon & Schuster Canada has acquired world English rights to film and tv producer (Story of a Girl) Liz Levine’s NOBODY EVER TALKS ABOUT ANYTHING BUT THE END: A MEMOIR OF LOSS; a haunting, heartbreaking, yet often humorous account of life and loss, family and friendship, this portrait of grief and mental illness reveals what it means to try to keep moving forward, in spite of everything. Hilary McMahon at Westwood Creative Artists represented Levine in the deal, for publication in spring 2020. Congratulations to author and illustrator Matt James! 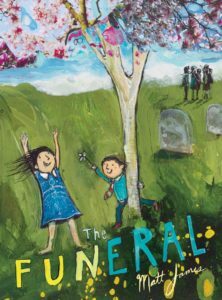 His illustrated children’s book The Funeral is a 2019 Ezra Jack Keats Award Honor winner. Tiffany Stone (Tree Song) inked a two book picture book deal with Kate Harrison at Dial, for the pun-filled KNOT CANNOT, in which a piece of rope envies the freedom and abilities of his friend Snake, until danger threatens and he learns the value in his own form, and a follow-up in the same vein, Wood Could. Publication of the first title is planned for spring 2020; Hilary McMahon at Westwood Creative Artists negotiated the deal at auction for world rights. Westwood Creative Artists is Canada’s largest literary agency. It’s also one of the oldest and most respected. Situated in a Victorian house in Toronto’s Annex neighbourhood, our staff of eleven includes six full-time book agents who are supported by an in-house international rights agent and an outstanding network of twenty-four international co-agents. We take great pride in the enthusiastic response to our list from publishers around the world and in the wide praise our writers receive from Canadian and international critics. 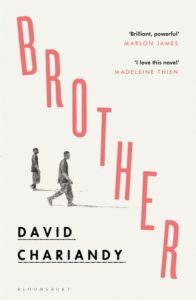 We are honoured that many of the writers we represent have won and been shortlisted for such esteemed prizes as the Man Booker Prize, the Nobel Prize, and the Scotiabank Giller Prize. © 2019 Westwood Creative Artists.